It’s breath of fresh air to see someone who doesn’t drink, smoke, do drugs, use the internet, nor has any idea that Brangelina is getting a divorce. 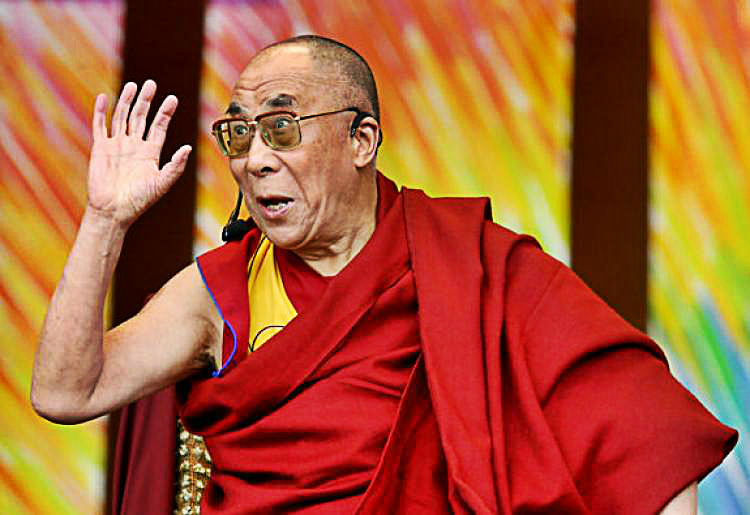 Dalai Lama is one of the greatest spiritual leaders of the modern time. It’s awfully cute to see him looking with such confusement at the ‘problems’ we worry about daily. The journalist tries to intimidate him a little bit. He asks ‘how would you feel if I say I listen only to the pope?’ The Dalai Lama’s response echoes with wisdom. He is asked about what he thinks of the world today, is the world getting better, what he thinks of Donald Trump, of Brangelina’s divorce, and Kim Kardashian having more followers than him (which are extremely weird set of questions to ask one of the wisest men on Earth right now). We ALL need to practice compassion more often, instead of competition!